My second piece of good news is that I got a place in the 2014 London Marathon. Delighted! 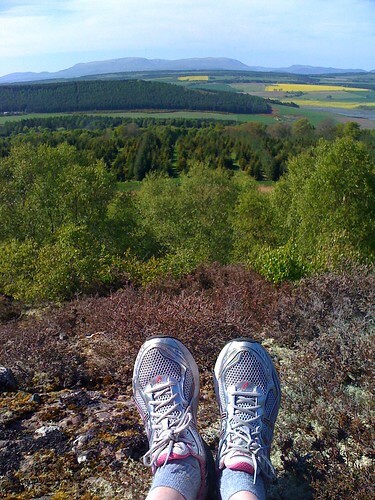 I’ve ran this distance twice before in the Loch Ness Marathon, a great race with beautiful, peaceful route and a fantastic atmosphere amongst the runners. It’s one I’ll most definitely do again (and maybe again after that) but, for now, I am looking forward to next year where I’ll be running a route with far less climbs (man, I hate the Dores hill) and more shouts and cheers from crowds the whole way along. I’ll be fundraising nearer the time for the MS Society and Brain Tumour Research. If you’d like to sponsor me, keep an eye on this space in early spring for details. Today’s recipe is a loaf. 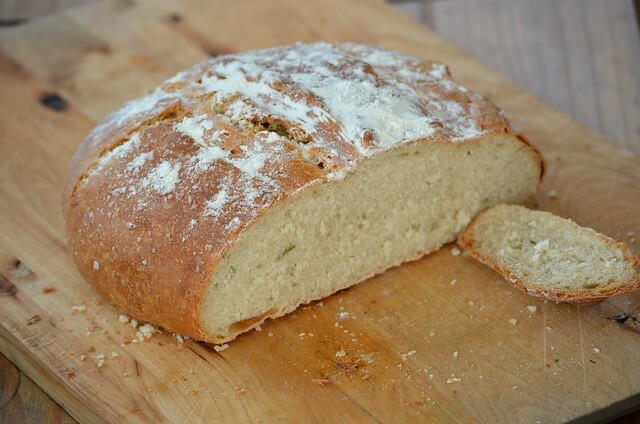 The basic bread recipe is one I’ve published on these pages. The addition of rosemary to the dough and the sprinkle of sea salt on top makes this a real treat of a snack. It needs nothing more than a smearing of good quality butter. Add the yeast to the warm water and set aside until the yeast foams a little (around 10 mins). In a large bowl stir together the flour, salt, and rosemary. Add the yeasty water and stir to create a wet dough. Leave for 5 mins. Place dough in a lightly oiled bowl and cover with a teatowel. Leave in a warm (not too hot!) place for 30 mins until doubled in sized. Knead the dough for a couple of minutes again and place back in the bowl for another 30mins. Final stage. Line a baking tray with baking paper and dust with flour. Place dough onto work surface and pull into a flattish rectangular shape. Roll dough up lengthways and tuck the ends underneath. Place seam side down and cover with the tea towel again. Leave to double in size in the same warm place. Meanwhile, heat your oven to 210 oC (or 200 oC if fan assisted). When oven reaches the right temperature place a cake tin of hot water in the bottom of the oven. Leave for 10 mins to let the oven get steamy. Brush the risen dough lightly with water then sprinkle with the sea salt. Dust lightly with flour then use a serrated knife to make 3 slits across the top of the loaf. Place in the oven and bake for 40 mins until golden. Leave to cool on a rack before eating. 4 hours 13 minutes 26 seconds. 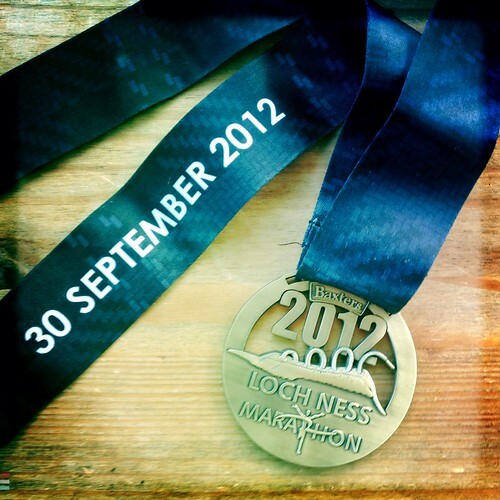 Yesterday I ran the Loch Ness Marathon in 4 hours 23 minutes and 27 seconds. Today I am in utter agony but am still smiling like an idiot. Many thanks to all of you who sponsored me. To date, I’ve raised almost £2,700 for Cancer Research UK. My mum would have been delighted. I’ve been training for months. But not quite as hard as I could have, perhaps. The longest run I’ve done in preparation is 18 miles. People keep telling me that’s fine: if I can do that in training, I can do the extra 8.1 miles on the actual day. I choose to believe them… I desperately want to believe them. But if the worst comes to the worst and I just can’t run anymore, I will walk, hobble or crawl over that finish line! Whatever it takes to honour the £2555 my family, friends, colleagues and blog readers have donated to Cancer Research UK. Fry the onion gently in olive oil until golden brown. Set aside. Increase the heat and fry the bacon lardons until crispy. Drain and set aside. Add the egg yolks, cream, a little salt and a good pinch of pepper to a bowl and whisk gently to combine. 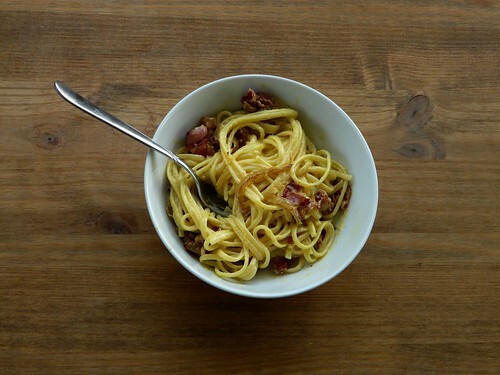 Cook the pasta in plently of boiling salted water. 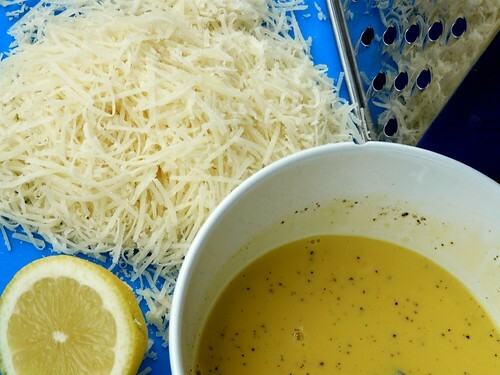 Drain and toss immediately with the cream mixture, the cheese and a little squeeze of lemon. Stir through the onions and bacon. Just three months after being diagnosed with a brain tumour, my mum, Beth Harrison, died earlier this year. Though those months were horribly difficult for her, Mum faced her illness with tremendous courage and, as always, never stopped thinking of others. Just one example of this was her request that I run a marathon to raise money for charity. Quite honestly, I’m not convinced she entirely understood how far 26 miles is! “That’s like running from Aberdeen to Insch, Mum,” I explained. “Yup. That’s fine. Do that,” she replied breezily. 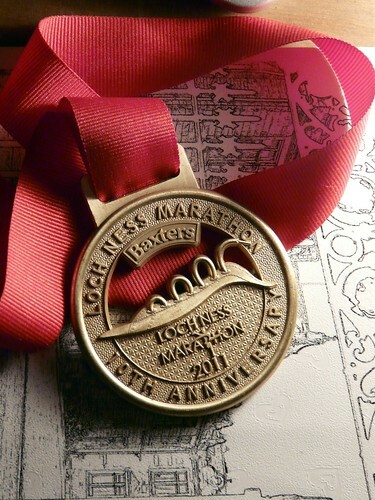 And so that’s what I’m going to be doing: running all 26.2 miles of the the Loch Ness marathon on 2nd October, 2011. Gulp. The charity I’m raising money for is Cancer Research UK. Again, this was chosen by Mum. She selected this charity on the advice of the wonderful community nurses who cared for her in her final weeks. More research could result in reduced cancer rates, earlier diagnosis, improved treatments, increased comfort for terminal patients and more people making a full and lasting recovery. Watch this space for updates on training and fundraising progress!